The resort offers nine categories of extravagant suites decorated in a classic Caribbean style, with direct access to the six infinity pools winding around the resort. Enjoy the swim in spa which offers both indoor and al fresco holistic treatments, or relax in nine à la carte restaurants. There are 11 bars with the perfect ambiance for evening relaxation, ideal for a pre- or post-dinner drink. All meals and snacks. Unlimited soft drinks, local and premium alcoholic drinks. Minibar. 24-hour room service. Daily activities. Evening entertainment. Non-motorised watersports. Wifi. 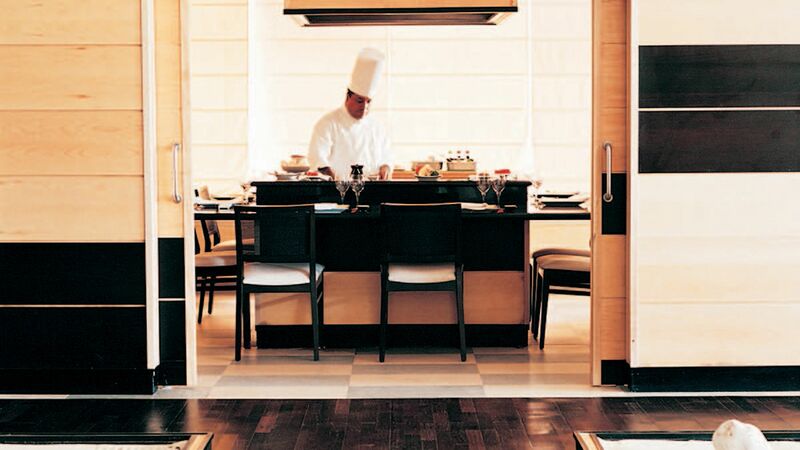 Spice restaurant offers the perfect blend of Pan Asian spices and exotic aromas, with live cooking sessions. Chez Isabelle offers the ultimate French dining experience with a luxurious and traditional design and the finest of French gastronomies. Open for lunch and dinner. 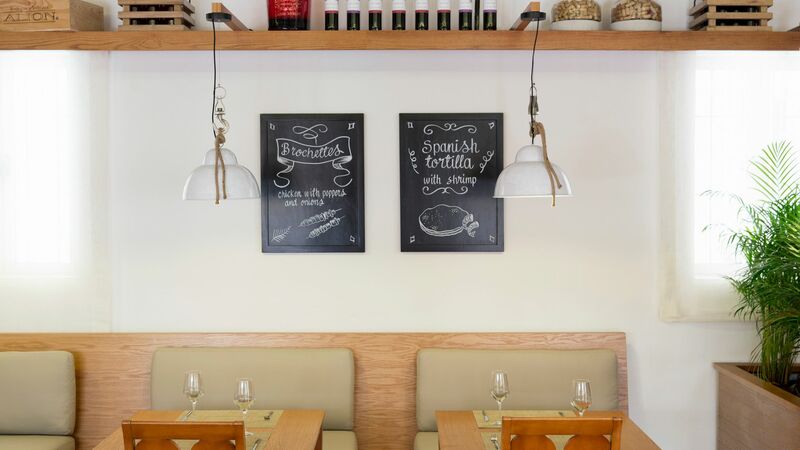 Trattoria style restaurant serving simple but delicious Italian cuisine. 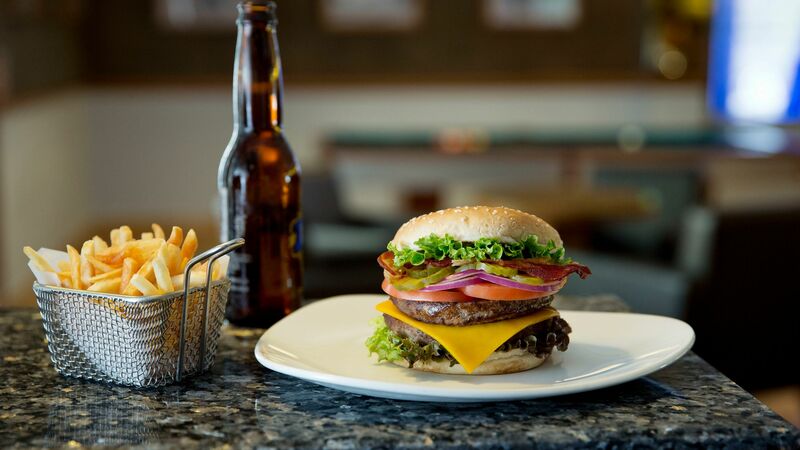 The Grill has an open flame cooking concept, where juicy steaks and sizzling seafood is grilled to perfection. The Lobster House is a world class sea food restaurant serving shellfish specialities. 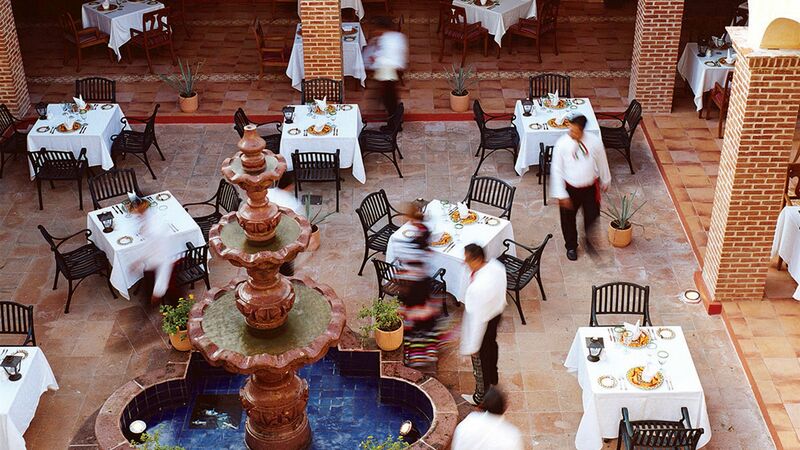 Agave offers an authentic Mexican buffet serving guests a wide range of contemporary and traditional dishes and allowing you to dine in the hacienda courtyard where you can enjoy a live tableside Mariachi show. 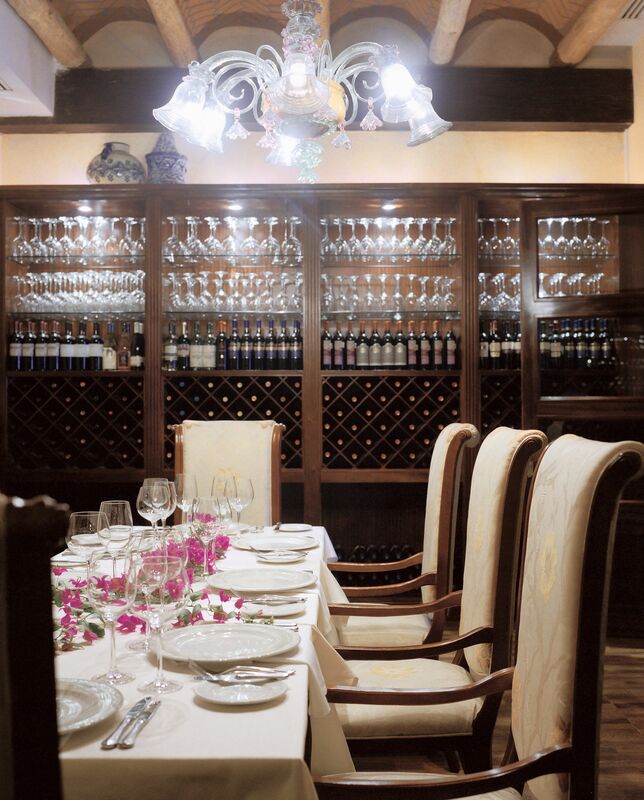 Toscana is an immaculate Italian restaurant serving a rich Mediterranean menu, inspired by the best Italian delicacies. Basmati is the Indian offering of Excellence Riviera Cancun, taking guest on a culinary journey through the rich cultures of North West India. 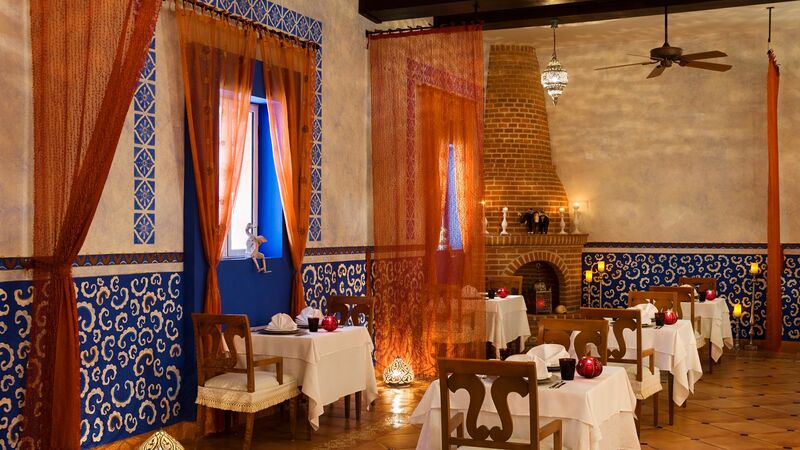 Flavor Market offers traditional Spanish snacks in a cosy ambience, complemented by a fine wine selection. 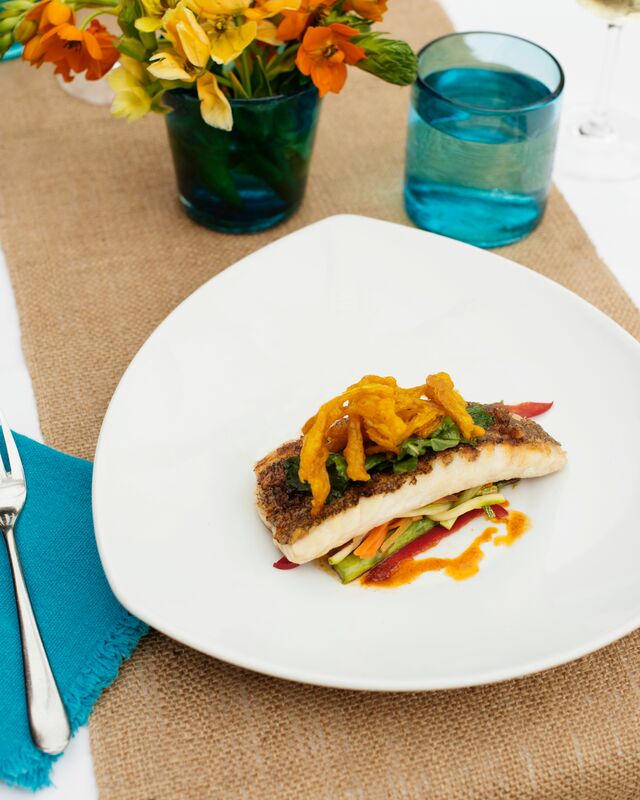 Las Olas is a beach bar offering light meals and refreshing drinks and boasting natural beach views. Excellence Riviera Cancun’ Sports Bar boasts a unique ambiance with a diversified snacks menu and a huge screen for sports fans. With 11 bars to choose from, there's a venue for every time of the day. Favourites include the swim-up bar for a refreshing beverage, the smoothie bar - Revive, or for some evening entertainment you can visit Stars. The resort sits on a stunning two mile stretch of white sand. Kayaking, paddle boarding and sailing are some of the activities you can enjoy on the hotel’s beach. 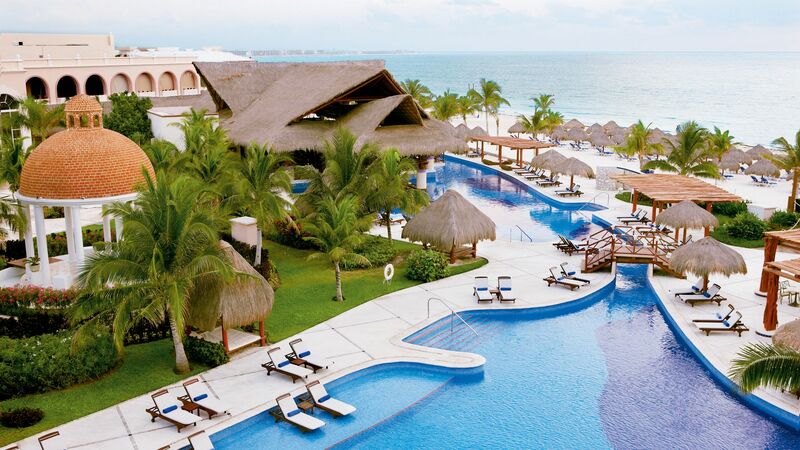 Excellence Riviera Cancun has nine swimming pools which are spread across 1.25 acres of pretty gardens. Two of the pools are heated during the winter and another two are in the Exclusive Club zone of the resort. With stunning surroundings and soothing deluxe interiors, Mile Spa offers various therapies and treatments, including a hydrotherapy pool, tropical rain showers, water plunge pools, steam baths and relaxation areas. 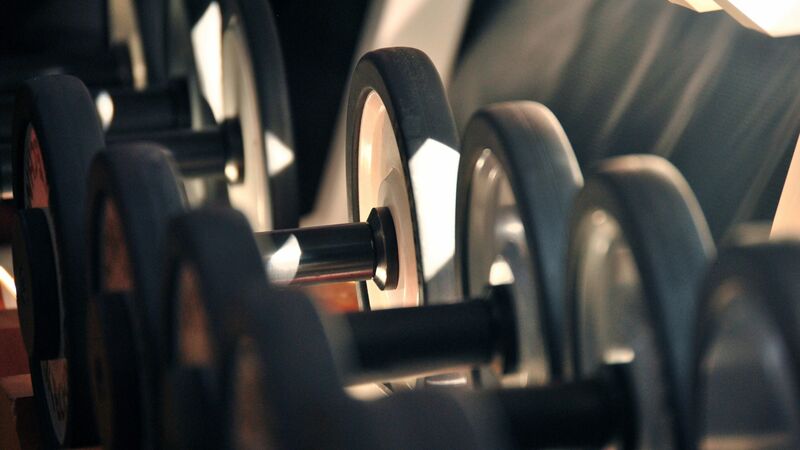 A well-equipped fitness centre is available to guests, with an excellent range of cardio equipment and weights. To enjoy the outdoors, a fitness trail allows joggers and walkers alike the chance to admire the scenery. Designated facilities and outdoor spaces for basketball, beach volleyball and tennis are favourites among guests, with a variety of indoor activities also on hand, including a games rooms, table tennis and various lessons. Guests can enjoy a wide range of water activities, ranging from kayaks and paddle boards to deep-sea fishing and scuba diving. Additional costs may apply to some excursions and activities, but these can all be booked and are payable locally. A variety of non-motorized watersports are free to guests. Riviera Cancun is a beautiful natural area just half an hour’s drive away from Mexico’s lively hub, Cancun. 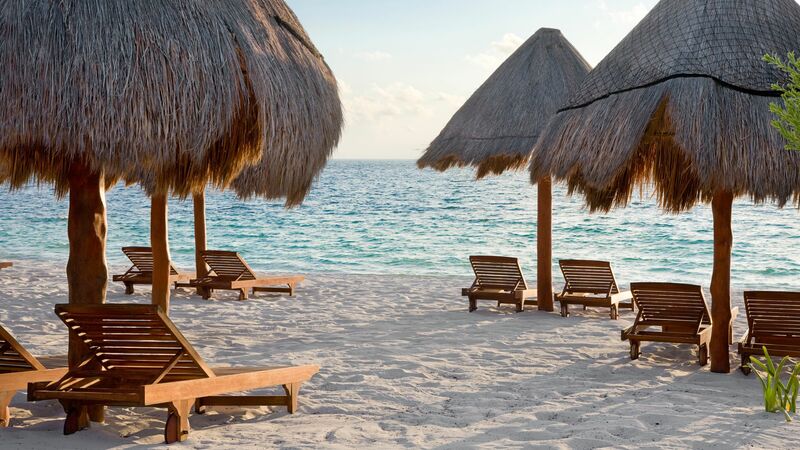 Located between the vibrant city of Cancun and the celebrated Playa del Carmen, Riviera Cancun provides wonderful beaches perfect for relaxing. Its heavenly white sand coastline features swaying palms and glamorous seaside resorts. Neighbouring Playa del Carmen is well known for amazing restaurants and local shops and is less than an hour’s drive away. Riviera Cancun also has easy access to some of Mexico’s most remarkable Mayan sites, including the charming Tulum. For water activity fans, the virgin coral reefs along the shore boast an unforgettable scuba diving experience. And the rivers and ruins of Xcaret, an eco-archaeological park, is perfect for family excursions. Excellence Riviera Cancun is a 25 minute drive from Cancun Airport. 2 Storey Rooftop Terrace Ocean Front measure 62m² and offer well-appointed suites with a comfortably furnished rooftop terrace complete with plunge pool. Excellence Club Junior Swim-up Suites with Ocean View are located in the Excellence Club section. They feature 1 king size bed and are located on the ground floor. They have a terrace with outdoor whirlpool, sunbeds and a hammock and direct access to the swimming pool via your terrace. Guests booking an Excellence Club room will also receive the following benefits: private check-in and check-out, access to a private lounge with buffet and bar service, access to a private pool and beach area, complimentary daily newspaper, beach bag for use during your stay, daily fruit basket, fresh flowers on arrival and one Aqua Wellness Spa Treatment per person. Junior Suites with Spa or Pool View measure 62m². Decorated in a classic Caribbean style, they feature 1 king size or 2 double beds, air conditioning, TV, CD/DVD player, radio/alarm clock with iPod dock, telephone, safe, tea & coffee making facilities, minibar with premium wine and liquor selection, iron & ironing board, wifi, sitting area, bathroom with whirlpool bath, shower, hairdryer, bathrobes & slippers and a balcony or terrace with a spa or pool view. Junior Suites with Ocean View measure 62m². Decorated in a classic Caribbean style, they feature 1 king size or 2 double beds, air conditioning, TV, CD/DVD player, radio/alarm clock with iPod dock, telephone, safe, tea & coffee making facilities, minibar with premium wine and liquor selection, iron & ironing board, wifi, sitting area, bathroom with whirlpool bath, shower, hairdryer, bathrobes & slippers and a balcony or terrace with a spa or pool view. 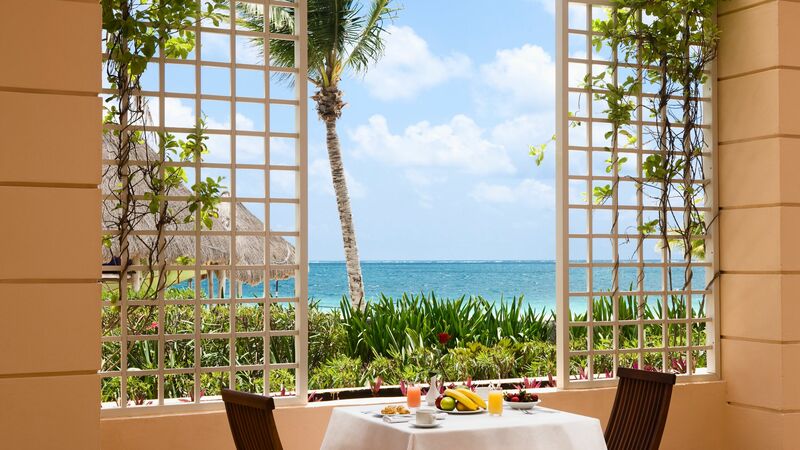 Excellence Club Junior Suites Oceanfront are located in the Excellence Club section with prime ocean views. They feature 1 king size or 2 double beds, a minibar with an upgraded premium wine and liquor selection and Bvlgari bathroom amenities. Guests booking an Excellence Club room will also receive the following benefits: private check-in and check-out, access to a private lounge with buffet and bar service, access to a private pool and beach area, complimentary daily newspaper, beach bag for use during your stay, daily fruit basket, fresh flowers on arrival and one Aqua Wellness Spa Treatment per person. Excellence Club Honeymoon Suites Oceanfront measure 92m² and are located in the Excellence Club section. They feature a king size bed, a massage room and a rooftop terrace with plunge pool, open-air shower and balcony with outdoor whirlpool for two with an ocean view. Guests booking an Excellence Club room will also receive the following benefits: private check-in and check-out, access to a private lounge with buffet and bar service, access to a private pool and beach area, complimentary daily newspaper, beach bag for use during your stay, daily fruit basket, fresh flowers on arrival and one Aqua Wellness Spa Treatment per person. Excellence Club Honeymoon Suites Oceanfront measure 92m² and are located in the Excellence Club section. They feature a king size bed, a massage room and a furnished balcony or terrace with outdoor whirlpool for two with an ocean view. Guests booking an Excellence Club room will also receive the following benefits: private check-in and check-out, access to a private lounge with buffet and bar service, access to a private pool and beach area, complimentary daily newspaper, beach bag for use during your stay, daily fruit basket, fresh flowers on arrival and one Aqua Wellness Spa Treatment per person. Swim-up Junior Suites with Spa or Pool View feature 1 king size or 2 double beds and are located on the ground floor. They have a terrace with outdoor whirlpool, sunbeds and a hammock and direct access to the swimming pool via your terrace. Excellence Club 2 Storey Rooftop Terrace Ocean Front measure 62m² and offer well-appointed suites with a comfortably furnished rooftop terrace complete with plunge pool. Guests booking an Excellence Club room will also receive the following benefits: private check-in and check-out, access to a private lounge with buffet and bar service, access to a private pool and beach area, complimentary daily newspaper, beach bag for use during your stay, daily fruit basket, fresh flowers on arrival and one Aqua Wellness Spa Treatment per person. Imperial Suite Ocean Front measure 185m² and offers the finest luxury in the resort with a large living area, stunning panoramic ocean views well-appointed suites with a comfortably furnished terrace complete with an outdoor Jacuzzi. Guests booking an Excellence Club room will also receive the following benefits: private check-in and check-out, access to a private lounge with buffet and bar service, access to a private pool and beach area, complimentary daily newspaper, beach bag for use during your stay, daily fruit basket, fresh flowers on arrival and one Aqua Wellness Spa Treatment per person. Honeymoon or Anniversary couples receive the following benefits when staying for a minimum of 3 nights between 01 May 2018 - 31 October 2019. 15% discount on your Photo package (non applicable for wedding packages). Please call our Trusted Adviser for further details as the above offer is subject to terms and conditions. We chose Excellence Riviera Cancun for our honeymoon and our first trip to Mexico. We wanted 5* luxury with a swim up room and that is certainly what we got. The food is excellent and there is so much choice! Yes you might have a slight wait for a restaurant but it is never too long and there are plenty of bars to have a drink at whilst you wait. Our favourites were The Grill for lunch and Spice for dinner! The staff are equally amazing as they are so polite and welcoming. We were constantly asked if we were having a good time and what more could be done. Special mention to Antonio who was our pool waiter - he constantly provided us with food and drinks without even asking! The room was extremely clean and tidy and the minibar was out of this world!! I thought the daily newsletter was a nice touch as you knew exactly what was going on each day. The entertainment in the evening was ok, sometimes a bit cheesy! The silent disco was brilliant and the circus show was fun to watch. It is more of an older crowd at this hotel and everyone seemed to dash off to bed at about 10.30pm. So if you?? ?re looking for bouncing nightlife then this isn?? ?t the hotel for you. We had a fantastic stay and would definitely return! We've been to this resort twice and everything has been outstanding both times. Couldn't recommend more!!!! Accommodations, food, entertainment - absolutely perfect. The staff are all very attentive and eager to make your stay unforgettable. We wouldn't hesitate to go back. My wife and I go down to Cancun, Playa del Carmen, Cozumel at least a couple of times a year. 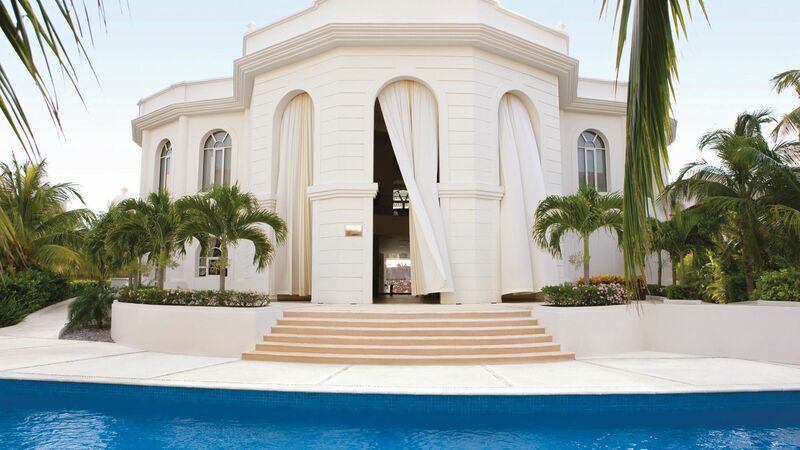 This past week we stayed at the Excellence Riviera Cancun for the first time. I can't really express how great this hotel/resort is! But I'll try! The Hotel/Resort is immaculate/beautiful. The food and service is terrific. The most AMAZING thing about the Excellence is the staff. It appears that the folks who work at Excellence not only liktheir jobs... they are proud of the place and like working there. We just got back to Colorado and have been sharing our experience at the Excellence with our neighbors and friends. Before I quit this review - I want to recognize a few of the staff that made our stay so special: Heidi Jimenez in fhe Excellence Club, Thalia in the Excellence Club, Virginia Velazquez the Telecommunications Manager (and wonderful gal/friend). I sure the rest of the staff is also great...but I didn't have the chance to meet and interact with them all. Five Star Resort for me! My wife and I have become pretty familiar with the hotels in the Riviera Maya area, as we go there every year for our honeymoon. 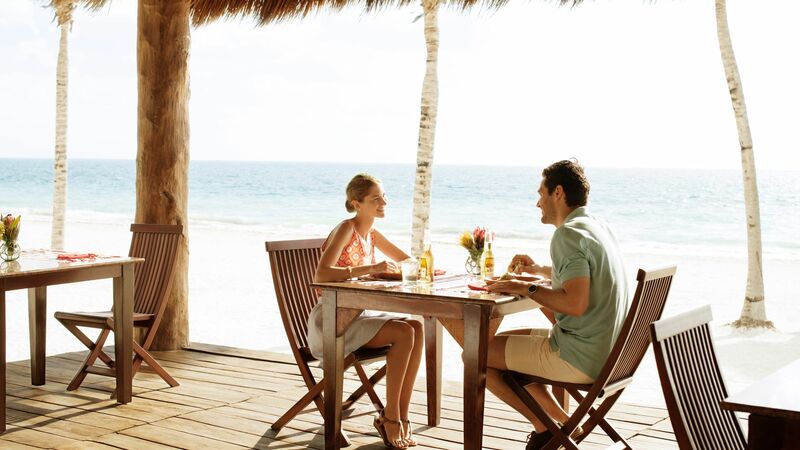 We usually go to Secrets Maroma Beach, and it's always amazing. However we decided to try Excellence this year after hearing good things from friends. We booked an ocean-front suite with a rooftop terrace in the Excellence Club area, as we enjoy the ocean views while getting dressed. From the very beginning of the trip, we knew we made the right choice. We booked Deluxe Private transportation this year, which was very nice. We used Seasons Tours and booked it through the hotel. A luxury Suburban was waiting for us and took us immediately to the hotel, which felt more up-scale than waiting for 6 or 8 other passengers to arrive in a shuttle. Arrival and check-in went great, we got to check-in at a private (less busy) part of the hotel due to the Excellence Club. Overall I would say the Excellence Club is a nice option, as you have a private lounge, private pool, and other upgraded services, but it's not a necessity. The interior of the room was amazing, and the rooftop terrace was AWESOME! The view was spectacular, and it had a nice comfy couch/bed and swimming pool up there for you to enjoy. We could hear all the music (which we enjoyed, but others might not?) and see how busy the beach/pool/theater were before heading down. The entertainment staff was great, lots of fun activities to enjoy, but I would say overall we liked the activities at other resorts a little better than here. We tried 4 of the restaurants, our favorite was by-far Spice for dinner. We don't care for the hibachi, but the regular restaurant where you can get sushi and Thai food is where it's at!! Best food at the resort in our opinion, ate there twice! The breakfast buffet was underwhelming compared to other resorts, so we only ate there once and went to the Lobster House for the rest of our breakfasts, it was very good. The Aroma Cafe was also amazing, had wonderful latte drinks, and awesome desserts (I bet I ate 25 macarons! ), shout out to Yessenia and Alba that work there. Lunch was usually Las Olas, because they had awesome burgers and nachos, I'm sorry I can't remember the name of the chef that hooked my wife up with special chicken nachos every day, but he was amazingly nice. We had a great encounter with one of the Concierge ladies that helped my wife buy a bag of coffee that was actually a decoration, so shout out to Marissa, thank you very much. We went to all the shows, and they were all very good (but the same ones we've seen at other locations pretty much). There was one completely unique night activity called the Silent Dance Party where everybody wears wireless headphones with 3 separate channels. There are 3 DJs playing different types of music, and every is dancing around to their own music in the headsets, while it's basically quite if you were just spectating. It was a BLAST!! Overall the trip was awesome, we'd certainly go back again. Compared to our past trips to the area, it was better than all of them except maybe Secrets Maroma, and I would say that while the food was better at Secrets, the rest of the experience was equal or maybe slightly better at Excellence. Don't miss out on this one!! This was our 4th trip in 9 years to the Excellence Riviera Cancun and I think it speaks volumes in that we continue to come back. We have always been very happy with the cleanliness of the resort from the public areas to the suites.Nearly everyone we met tghere were also repeat customers of this resort. We enjoy the variety of the restaurants and the overall friendliness of all the staff. From reception to room services, to bar and restaurant staff - even grounds-keeping staff, everyone we saw smiled and greeted us. We were extremely happy with our poolside and oceanside bar servers. Matilde in particular recognized us whenever we saw him through the resort, and he always worked to ensure our stay was enjoyable. Antonio was another of the poolside servers who was so happy and attentive to our needs. Over the 9 years, I have often wondered if the resort would slowly lose it's luster however they obviously continue to maintain and update the resort. It is a real jewel. We are already planning for our next trip down. This resort continues to live up to our expectations.